A Massive Party where we will see Legends of the UK Rave Scene get together at the Legendary QClub in Birmingham for a very Special Party - Celebrating the Past, Present and Future of Rave. 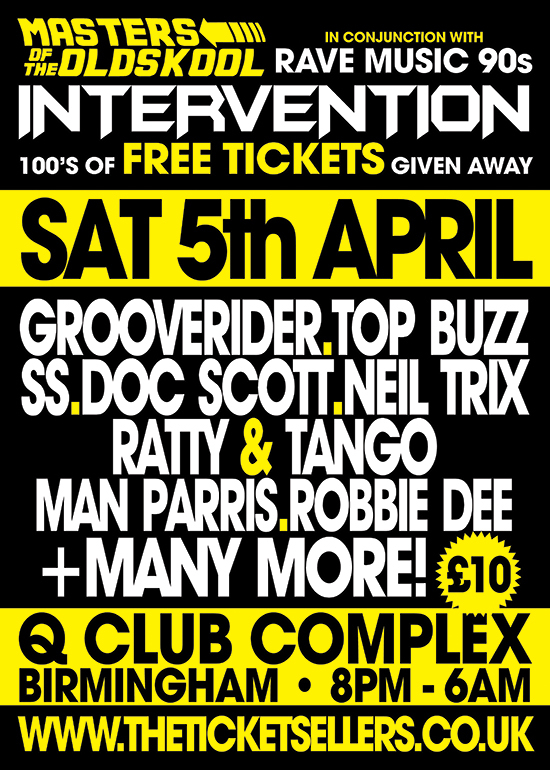 Limited FREE Tickets available, A rave for the ravers!! DJS AND MCS SO FAR WITH MORE TO COME ! !